Rab ALED Series Type V Circular Distribution LED Area light fixture in bronze color, has precision die-cast aluminum construction with polyester powder-coated finish. Specular vacuum-metalized polycarbonate reflector ensures even and bright illuminations. 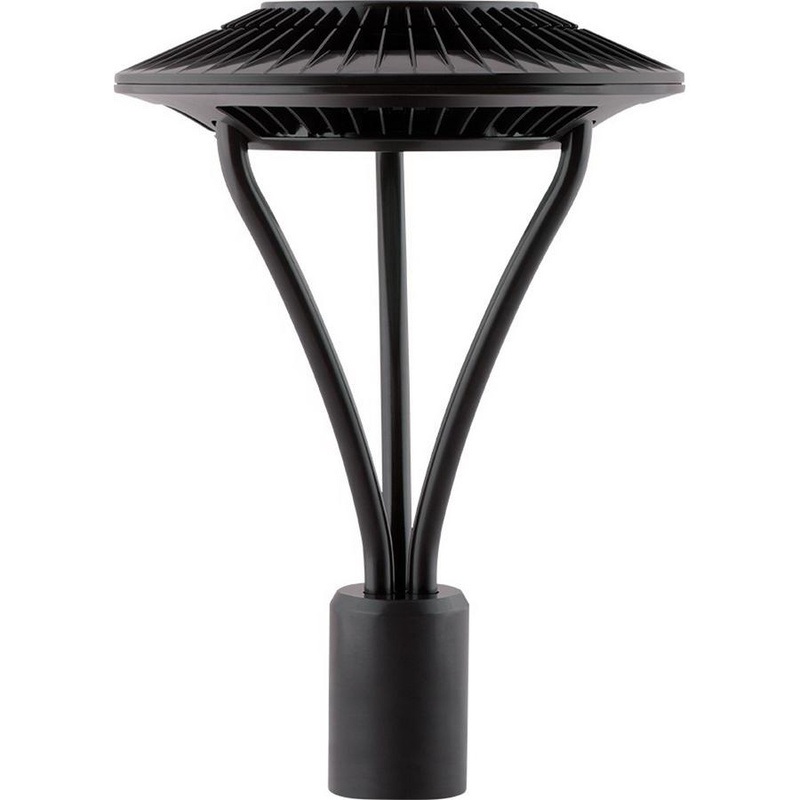 This fixture employs one 52-Watt LED lamp with average lifespan of 100000 hours, which delivers brightness of 4019 Lumens. LED lamp has color rendering index of 81 and color temperature of 4000K. Lamp has voltage rating of 120 - 277-Volts.